Tate Britain's weekly 'Liminal' programme of family events gives accompanied kids the chance to engage with sculpture through touch, interaction and collaboration. Saturday and Sunday 11am- 3pm. Suitable for all ages. Little Angel Theatre has a production of The Ugly Duckling - Accompanied by live music and voices, beautifully made puppets tell the story of the little duckling who grows up feeling “different.” Meet Mother Duck and her charming family swimming in the moat, the wise Blackbird, the friendly Bug-Eyed Toad and the pompous Great Gobble Gobble Turkey. This remains close to the spirit of Hans Andersen’s perceptive story and is a colourful and enchanting show for all ages. On Saturday there is a relaxed production for those who find it hard to stay in their seats or dislike loud music or sudden changes. Fairy Tale Scavenger Hunt, Hampstead Heath - Aequitas Theatre Company lead a scavenger hunt to find treasure including a gold-leaf, leatherbound edition of The Brother's Grimm fairy tales. Along the way, families meet characters including Snow White, Goldilocks, Red Riding Hood and the Big Bad Wolf. The treasure hunt lasts between two and a half hours and will help the company raise money for its next production. Treasure hunters can pay on the day by cash or cheque. Meet at Hampstead Heath rail (NW3 2QD). All ages. 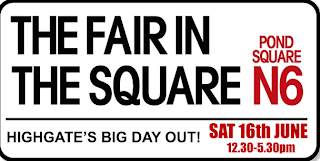 Highgate Fair In The Square takes place 12.30 to 5.30. 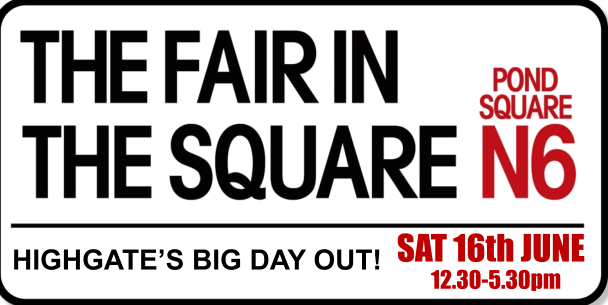 Featuring 130 stalls and loads of kids activities including a bouncy castle, fairground rides, climbing wall, Punch and Judy. Suitable for all ages. Lauderdale House has a great kids production as every Saturday. This week its The Emperor and The Nightingale - The Emperor loves to hear the Nightingale sing! If you can sing as brilliantly you might win a prize. Why not come and use your voice as you never have before to make the silly and amazing sounds of everything from the Emperor's China Palace to his dark and dangerous Bamboo Forest. YOU form a vital part of the story... so don't miss it! Cadogan Hall has a Saturday Spectacular Family Concert at 11.30 am. Saturday Spectaculars are a great way for families to enjoy classical music in an informal and fun environment. Get warmed-up for the Olympics with this sporting concert. Activities begin from 10.45 with themed craft activities, refreshments and a chance to meet the musicians. Lee Valley Farm Open Sunday - Family entertainment and activities for Open Farm Sunday include a dancing sheep show, pig and lamb racing, tractor and trailer rides and various arts and crafts. There's also a chance to watch the cows being milked, play in the Bundle Barn soft play area and climb the Spider Tower. Food and drink are available in the Orchard Café. All ages. 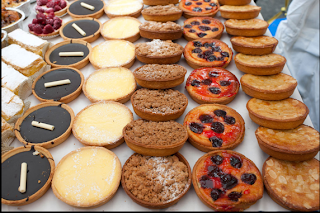 The Marylebone Summer Fayre takes place on Sunday 10am-5pm. The Fayre offers everything you would expect from a traditional village fete – food, drink, music, children’s activities, craft stalls, a farmers’ market, tombola and lashings of community spirit. There's also a music stage featuring some of the most exciting up-and-coming acts in the country, the participation of some of London’s finest restaurants and retailers, and an amazing diversity of activities. This year’s charity partner is Kids Company, which works to provide life-changing support to vulnerable young people. Suitable for all ages.